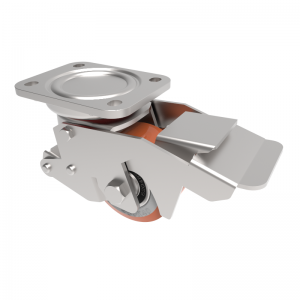 BZLT5 is a roll lock which is comprised of a pressed steel construction, with rubber foot pads of 80mm diameter. 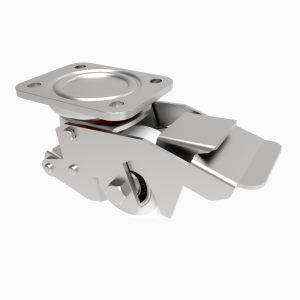 Mounting height 151mm, with retracted height of 125mm, 120mm x 120mm top plate,100mm X 100mm OR 85mm x 85mm bolt holes. 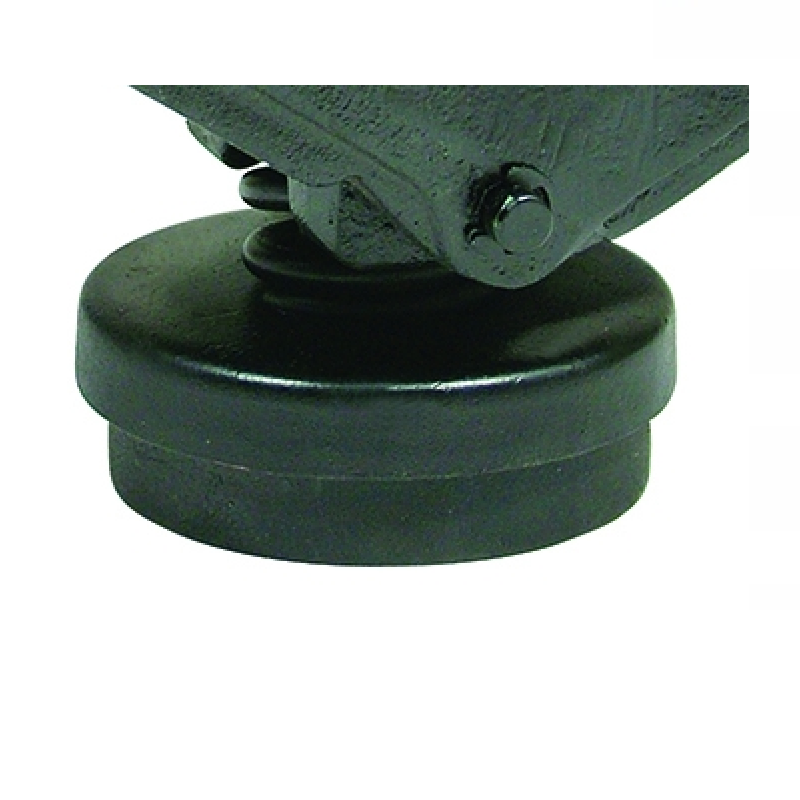 BZLT6 is a roll lock which is comprised of a pressed steel construction, with rubber foot pads of 80mm diameter. 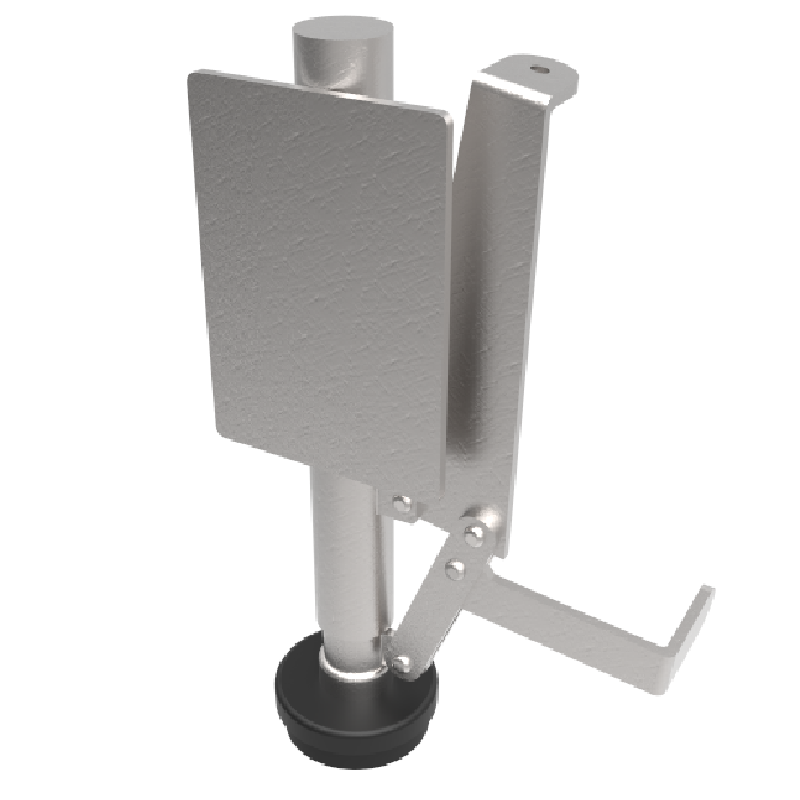 Mounting height 210mm, with retracted height of 170mm, 120mm x 120mm top plate,100mm X 100mm OR 85mm x 85mm bolt holes. 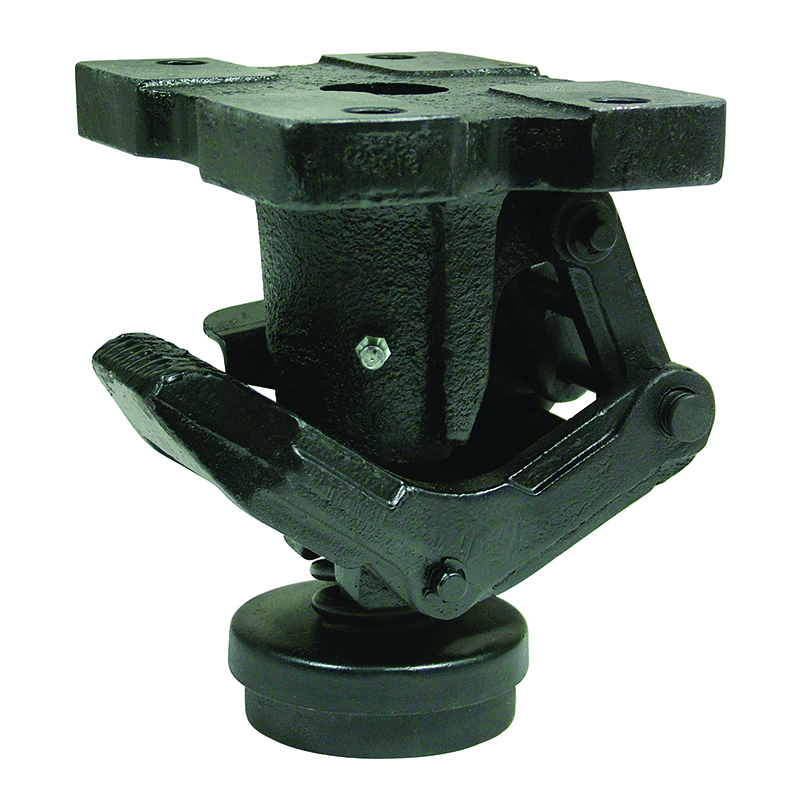 Pressed Steel Construction with a mounting height of 168mm. Retracted height 136mm. Plate size 115mm x 102mm with hole centres of 82/76mm x 67/76mm. Truck locks are NOT designed to carry any weight and are used as a form of brake. Pressed Steel Construction with a mounting height of 195mm. Retracted height 155mm. Plate size 115mm x 102mm with hole centres of 82/76mm x 67/76mm. Truck locks are NOT designed to carry any weight and are used as a form of brake. Pressed Steel Construction with a mounting height of 195mm. Retracted height 155mm. Plate size 138mm x 110mm with hole centres of 105mm x 75/75mm. Truck locks are NOT designed to carry any weight and are used as a form of brake. 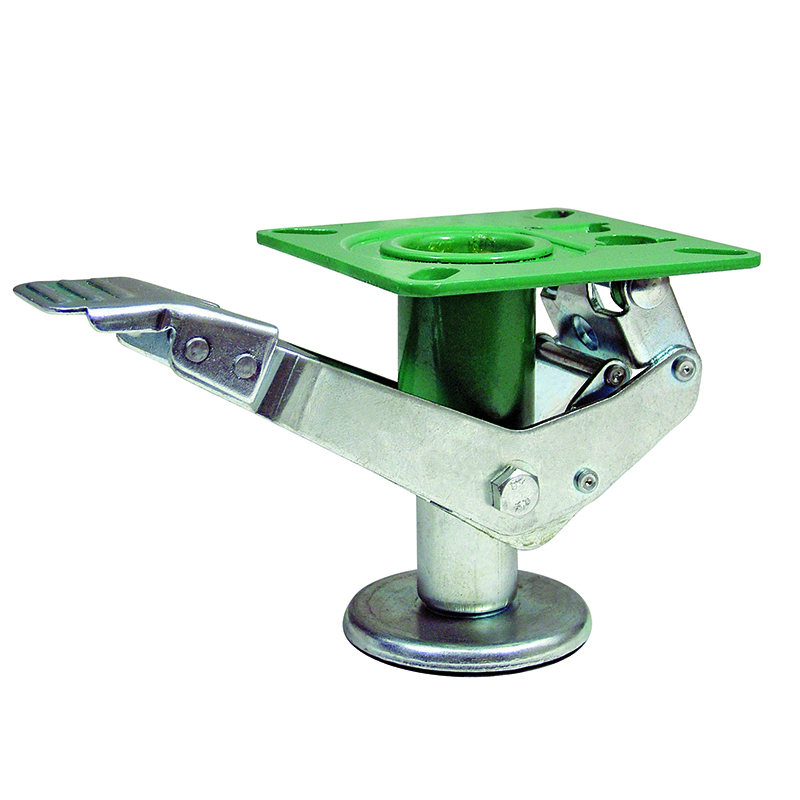 Pressed steel swivel “Lifting Castor” with a top plate fixing fitted with a white nylon wheel with double ball bearing. Wheel diameter 75mm, tread width 40mm, overall height retracted 112mm, extended 120mm, plate size 108mm x 88mm, hole centres 80mm x 60mm. Load capacity 350kg. 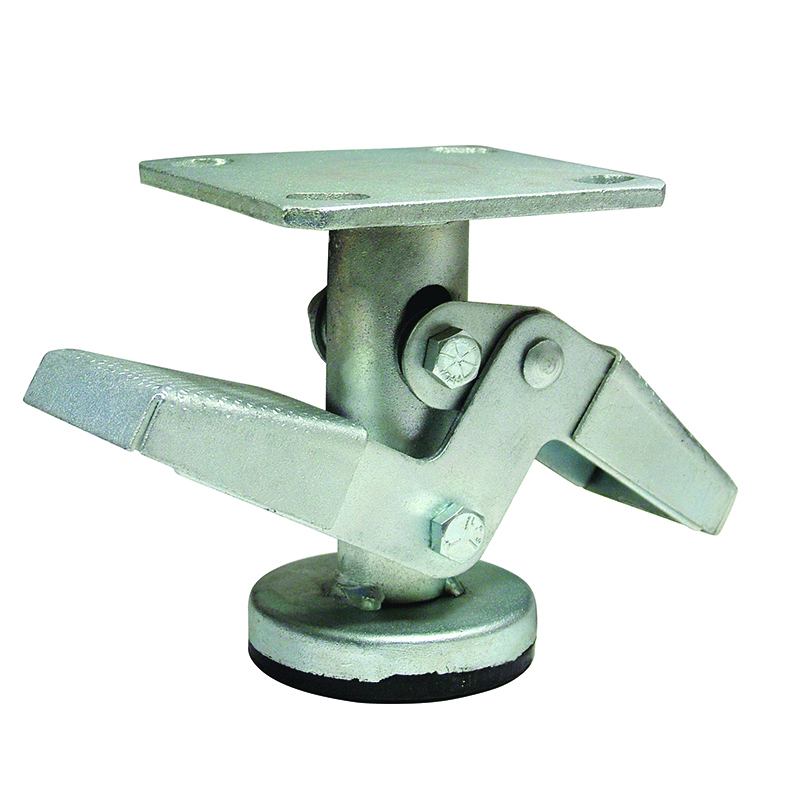 Pressed steel swivel “Lifting Castor” with a top plate fixing fitted with a white nylon wheel with double ball bearing. Wheel diameter 80mm, tread width 40mm, overall height retracted 114mm, extended 120mm, plate size 105mm x 85mm, hole centres 80mm x 60mm. Load capacity 400kg. Pressed Steel Construction with a mounting height of 245mm. Retracted height 205mm. Plate size 115mm x 102mm with hole centres of 76/92mm x 67/76mm. Truck locks are NOT designed to carry any weight and are used as a form of brake. 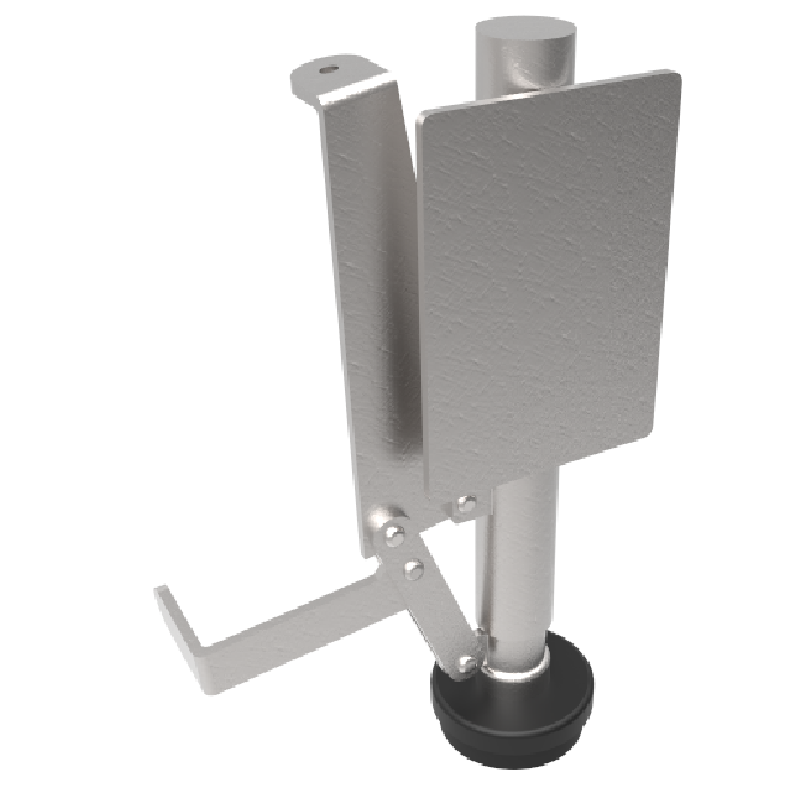 Pressed Steel Construction with a mounting height of 245mm. Retracted height 205mm. Plate size 138mm x 110mm with hole centres of 105mm x 75/75mm. Truck locks are NOT designed to carry any weight and are used as a form of brake. Pressed steel swivel “Lifting Castor” with a top plate fixing fitted with a brown polyurethane wheel with double ball bearing. Wheel diameter 80mm, tread width 40mm, overall height retracted 114mm, extended 120mm, plate size 105mm x 85mm, hole centres 80mm x 60mm. Load capacity 400kg. Pressed steel swivel “Lifting Castor” with a top plate fixing fitted with a brown polyurethane wheel with double ball bearing. Wheel diameter 75mm, tread width 40mm, overall height retracted 112mm, extended 120mm, plate size 108mm x 88mm, hole centres 80mm x 60mm. Load capacity 350kg.